People often wonder why some sales persons are always a step ahead of their colleagues when it comes to boosting lead generation in India. A sales person, as we all know, the face of their organization as they are the first to come in contact with the decision makers; naturally they play a vital role in enhancing lead generation in India by implementing the strategies of the company. 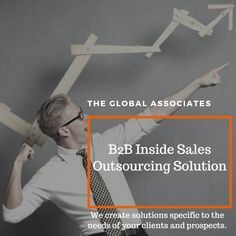 It is important for B2B lead generation companies to study the behavioral pattern of their top performers for pinpointing their special abilities and training the entire sales team to help them acquire those skills. These very skills make a sales representative more effective in creating quality leads and then turning them into closed deals. Let us discuss some of these traits in brief. Selling is not about your company; it’s about what the customer needs. One of the most essential qualities of a salesperson is to empathize with the customer and build trust with them. They must possess the skill of asking the right questions to help the prospect come out with their problems and requirements. This is the only way you can customize your solutions according to the client’s requirements and develop a long-lasting business relationship. A flexible approach is essential to help your organization boost lead generation in India. If a sales representative is too rigid about following the sales scripts and is lost when the customer turns the conversation in some other direction; you would lose the lead before it even takes off. Thinking on your feet is a trait you need in order to be ready with your responses and suggestions that suit the customer’s requirements. Before you pick up the phone, it’s an absolute must to be ready with your homework. If you make a call without knowing everything about the company, name and designation of the decision maker, their pain points and needs, and a rough idea about the solution you are going to offer; you have little chance of making an impact. The customer will end the call unless you impress them right away with your knowledge about their pain points and requirements. A plan remains a mere plan until you swing into action. You are doing your B2B lead generation company a disservice if you don’t pick up the phone and dial. Even the most promising of leads won’t take off unless you actually talk with the decision maker. Boosting lead generation in India will become a lot easier if your sales team can learn from these basic traits and embrace them with all sincerity. Conduct regular training sessions where less successful employees may learn these essential traits from their illustrious colleagues.